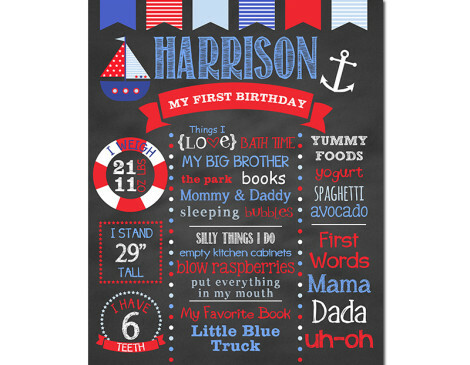 The Nautical first birthday chalkboard sign is a great keepsake to remember your little ones first year! This design will be perfect displayed at a nautical themed birthday party. 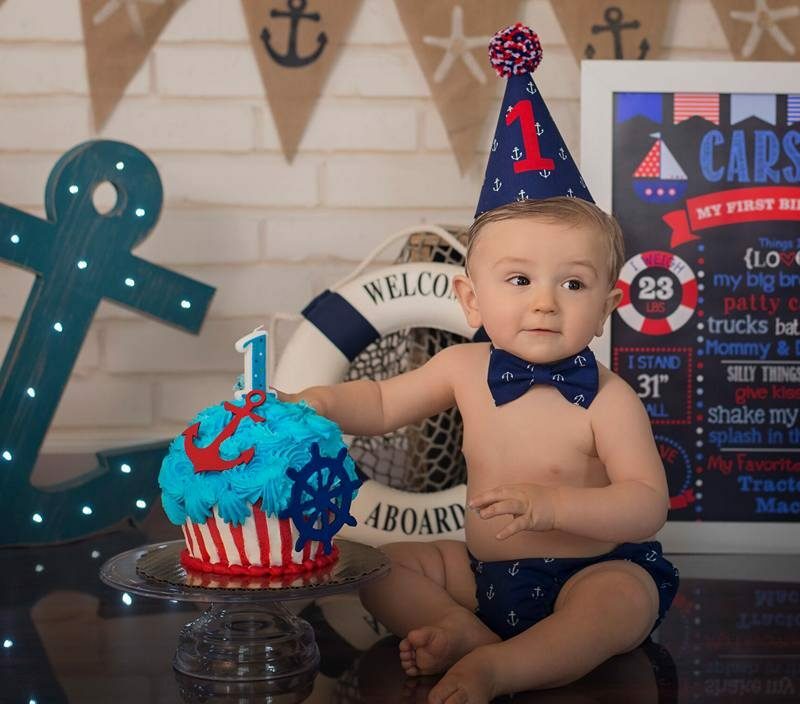 Share with your family and friends all of your little one’s milestones and favorite things. Available in digital file format for self printing or print. 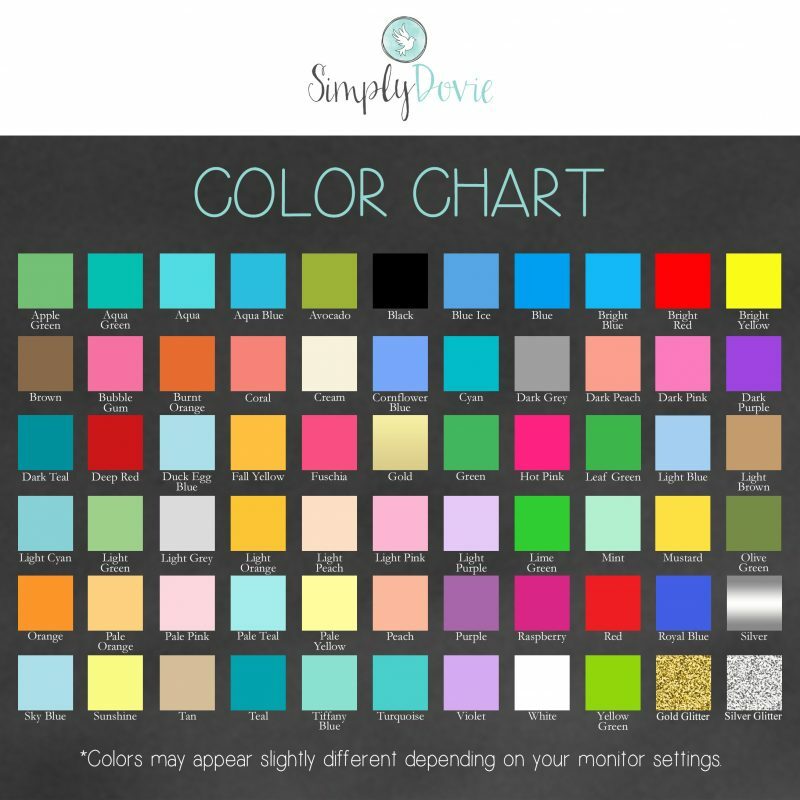 *See color chart in product photo. *Limited space so only items that fit will be placed. Put your must haves first. 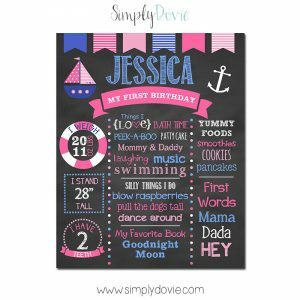 Our Nautical First Birthday Chalkboard signis a custom product so it will be unique to your information that you provide. 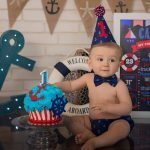 We may use different fonts or font sizing to best fit your information. 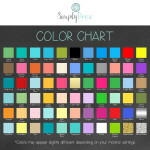 How to order: Select your size and choice of either a digital file or print from the drop down menu below. Then fill in your information in the input fields. We will then personalize the purchased design with your information and send you a proof via your email within our production times. You will review your proof for any revisions. Limit of two complimentary proofs. After proof approval then the final will be be emailed or begin the printing process (dependent upon your purchase selection). To change a category you will input your new category in the field below of the one you are changing, along with your information. Also, you can make special notes in the note section below. Please note the additional note section isn’t to add additional sections as the sections are limited to the example photo. Our Giclée fine art prints are made with high-quality archival inks on our enhanced matte paper. They make for a truly beautiful presentation. 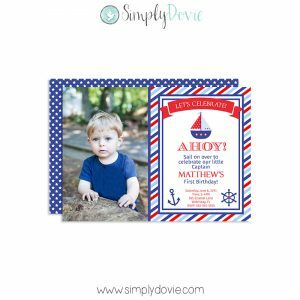 Our printable digital files are 300 dpi, high resolution jpeg files and will print at the highest quality. *Digital Art Deliveries available to all countries. Fine Art shipping is only available to the U.S. and Canada.